In order to highlight the work of the great volunteer doula programs around the country, I’m going to have guest posts from folks involved with those programs to talk about their work. The first guest post comes from Katie Daily, who coordinates the volunteer program at the Family Health and Birth Center in Washington DC. 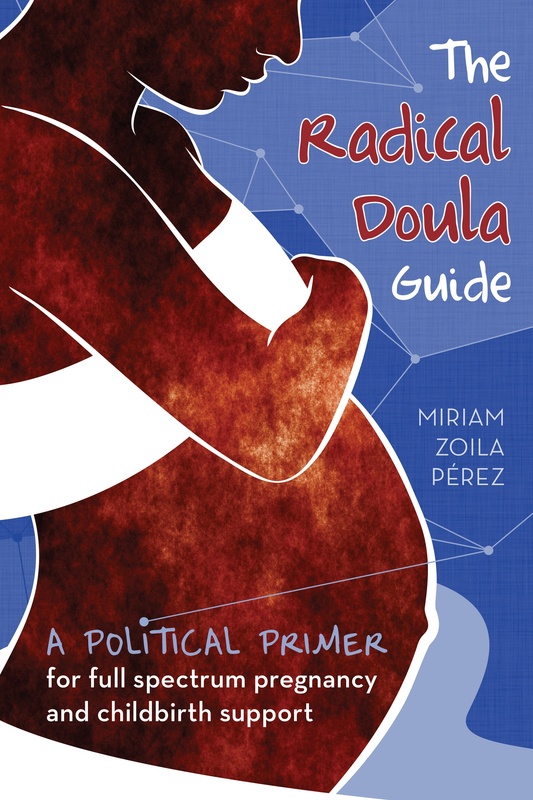 I’ve actually recently gotten involved with the program and am inspired by the diversity of the doulas involved and their passion for birth activism. Thanks to Katie for the guest post! Family Health and Birth Center follows the DONA International mission of “a doula for every woman who wants one.” Located in the Brentwood neighborhood of Washington, DC, FHBC provides multidisciplinary health care in a social context by building on the existing strengths of the families being served. A team of midwives, nurse practitioners, community health workers, and administrative staff work together to achieve impressive clinical outcomes. Success is evident by low rates of preterm birth, low birth weight, and cesarean section as compared to those of similar families in the District. Doulas provide continuous physical, emotional, and informational support the mother before, during, and just after childbirth. Many of our doulas volunteer their services through an on-call calendar, while others are contracted to provide intensive long-term relationships to pregnant women at-risk for preterm labor. These dual programs ensure that FHBC can offer doula support to all women in our care. Doula care complements the individualized, evidence-based care offered by midwives. In the first half of 2009, our doulas attended over 50 births, providing almost 400 hours of labor support – mostly on a volunteer basis. Our volunteers area diverse group of women dedicated to supporting birthing families. FHBC offers continuing education and mentoring opportunities to these often new, student doulas. In the future we hope to recruit and train more women from the community to serve as doulas. Unfortunately, like many nonprofits, FHBC is facing a significant loss in programmatic funding this next year. At this point in time, we do not have secure funding for our doula programs. We hope to continue our volunteer doula program in some capacity, but we could use your support! Funding is needed for program coordination, basic supplies, and transportation for our doulas. After her last birth, FHBC mom Kari expressed that all women should have that type of continuous, individual support during labor. Your can help guarantee the continuation of doula care at FHBC through your financial support. Check out our website at www.yourfhbc.org for more information. If you want to support the work of these doulas at FHBC, you can donate here. If you want to learn more about other volunteer doula programs around the country, check out the Volunteer Doula Programs page.